Anna’s has moved to serve our customers’ needs better. We are now right on the waterfront in the old Montreal Grill location opposite the bus terminal on Lower Water Street. With even more selection, our typical service and more seats to serve you, we truly are the place where home cooked meals are just a short walk away. Anna and Sam believe in providing the best and freshest food to their customers. 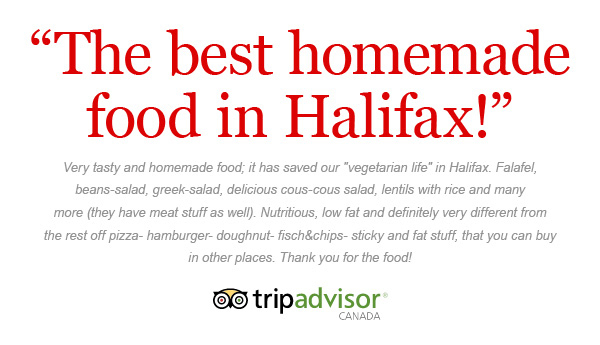 Whether it is your first time visiting, or the 10th time, you will feel right at home ordering one of our Hali-famous toasted wraps. So whether you are a student, or the business person looking for some budget friendly lunch fare. Anna has something for everyone, just like your mother used to. Check out the RESTAURANT MENU for the wide selection offered by Anna and Sam. We offer daily specials for our customers that are second-to-none. Whether you want a soup and sandwich deal or a salad and sandwich deal, there is something different to choose from every day! Anna also offers a wide range of catering services for businesses in the downtown Halifax core. 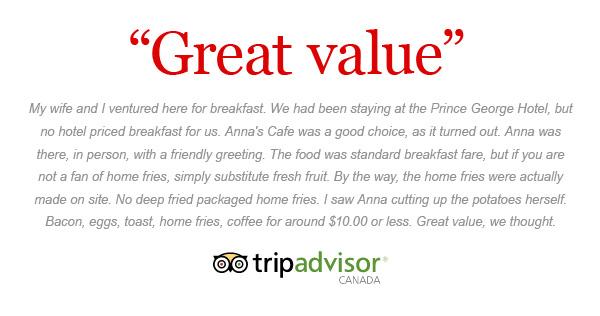 Her ability to cater to any type of business situation and the positive reviews provided by her clients are proof that Anna’s Cafe & Grill has a winning competition. Check out the CATERING MENU to see the options available for your business.